Following last week’s article series by CoinNews that reviewed each of the major United States Mint products that include America the Beautiful Quarters, the U.S. Mint has stepped forth and answered a key unknown question for each. The Mint has announced prices for the 2010 United States Mint America the Beautiful Quarters Proof Set; 2010 United States Mint America the Beautiful Quarters Silver Proof Set; 2010 United States Mint Uncirculated Coin Set; 2010 United States Mint Proof Set; and 2010 United States Mint Silver Proof Set. The 2010 America the Beautiful Quarters Proof Set is the first major numismatic product out of the gate to feature the new quarters. The set includes clad versions of each of the five quarters. Each bears the "S" mint mark denoting production at the US Mint at San Francisco. As proofs, the coins uniquely feature brilliant, mirror-like surfaces and sharp detail. The coins are composed of 91.67 percent copper, 8.33 percent nickel. With a preliminary release date of May scheduled, the US Mint has set the price for this set at $14.95. That is the same pricing as last year’s set, although there was one more quarter in 2009. Next year’s America the Beautiful Quarter design candidates have already been created and reviewed, although the final selections for this year’s reverse designs are yet to be announced. As a result, before this year’s designs came to fruition, the US Mint had to first go through the process of actually creating the America the Beautiful Quarters Program, line up the 56 national park and other national sites to be honored, coordinate with the overseeing authority for each site, and get production and other Mint procedures ramped up — all in span of a few months. Five popular sites from five different U.S. states will be honored in 2011 on the reverse side of Washington quarters. Listed in the order of their release, the sites will be Gettysburg National Military Park in Pennsylvania, Glacier National Park in Montana, Olympic National Park in Washington, Vicksburg National Military Park in Mississippi, and Chickasaw National Recreation Area in Oklahoma. These five newly designed quarters are part of the quarter series that begins in 2010 and is called the America the Beautiful Quarter Program. They are much like the popular 50 State Quarters Program, touted by the US Mint as the "most successful coin initiative in US history" and produced between 1999 and 2008. The difference is the America the Beautiful Quarter Program features 56 US National Sites. 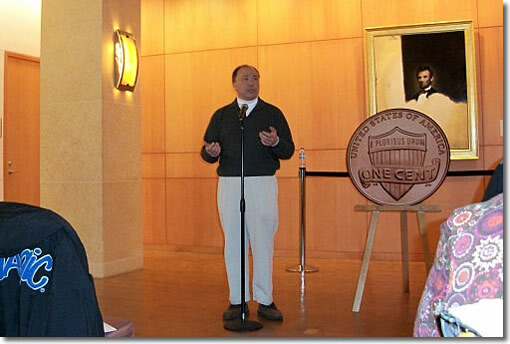 On the eve of the 2010 Lincoln cent launch ceremony in Springfield, Illinois, United States Mint Director Ed Moy met with about 60 coin enthusiasts at the Abraham Lincoln Presidential Library and Museum, where he answered questions and shared information about the US Mint and its coin programs. Topics included, among other things, coin release dates, designs, expected 2010 mintages for dimes, nickels and pennies, American eagles, commemoratives and the new quarters and silver bullion coins. 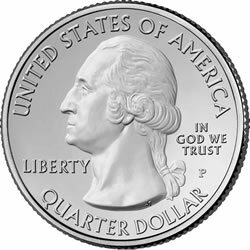 This first article installment focuses on Mr. Moy’s answers to specific questions regarding America the Beautiful Quarters. There is also an interesting response to CoinNews’ Rhonda Kay’s question regarding America the Beautiful Silver Bullion Coins. Moy describes some of the challenges in striking the five-ounce silver coins, a delay in getting them out the door, and whether they will ever be sold as a numismatic product.